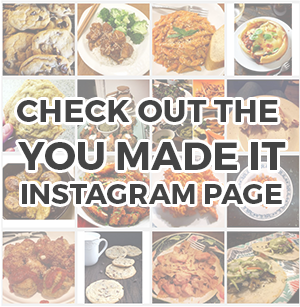 You’ve got a fridge full of leftovers and you don’t know what to do with them. You’re thinking you could turn them into a sandwich, or maybe make empanadas, or turkey noodle soup, or perhaps you’ll make a casserole with all of your leftover turkey. But while there are a ton of ways to use up turkey, what are we to do with the crazy amount of cranberry sauce that’s left sitting in the fridge? You can only spread so much on your turkey and stuffing sandwiches, after all. My favorite way to use up cranberry sauce is to put it in sweets. We don’t usually think of using cranberry sauce unless we’re smothering our turkey in it, but it makes the perfect sweet and tart addition to your desserts. 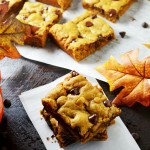 While it doesn’t work well in cookies (I’ve tried), cookie bars turn out wonderfully. 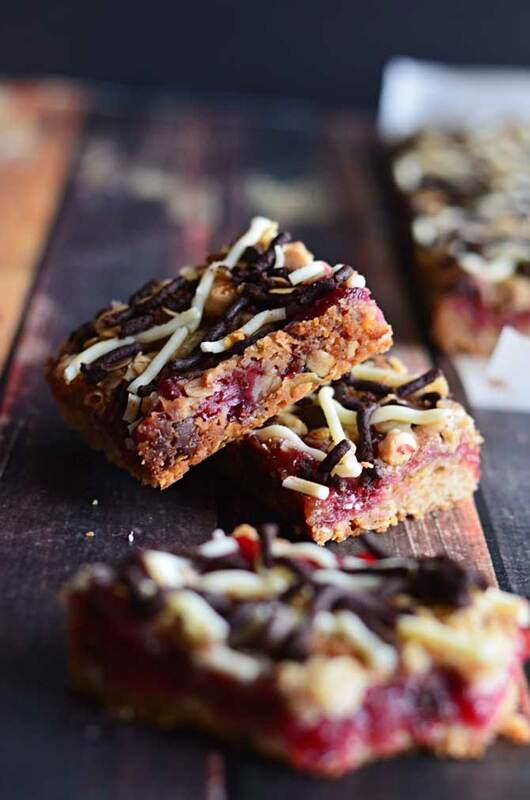 Oatmeal, dark chocolate, white chocolate, plenty of brown sugar, and luscious cranberry sauce all come together in these delicious bars that you won’t be able to get enough of! 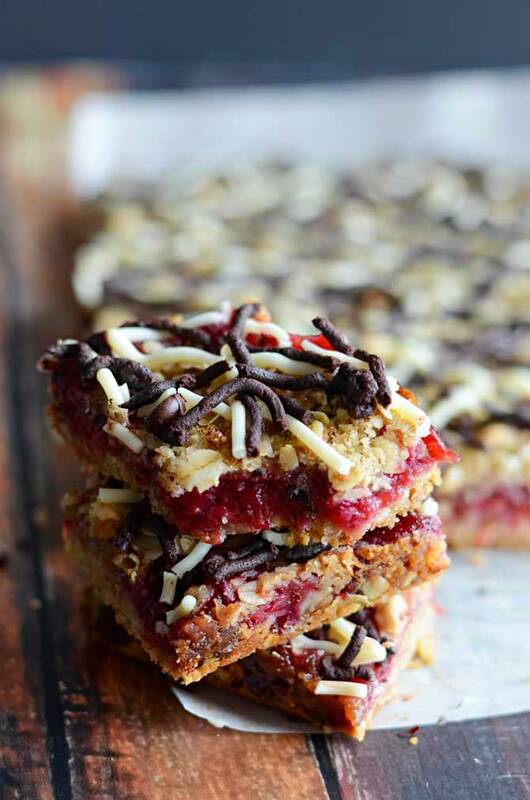 If you’re worried about eating all of these Oatmeal Chocolate Cranberry Bars so soon after gorging yourself on your Thanksgiving feast, just cut them up and freeze them for later! OR you could always make them and bring them into the office to share with your coworkers. Especially if you happen to work with me, wink wink. 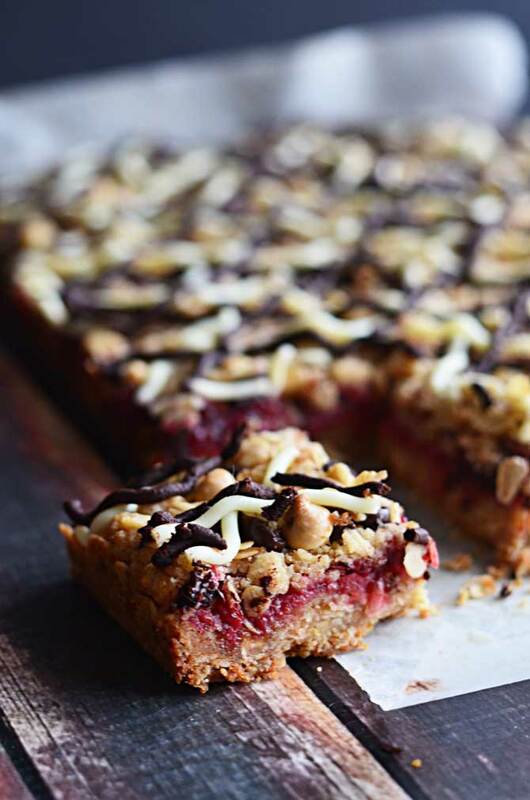 The Oatmeal Chocolate Cranberry Bars are great for using up leftover cranberry sauce, but honestly, they’re even worth making a whole ‘nother batch for (especially if it’s Raspberry Cranberry Sauce). Who doesn’t love cranberries and chocolate in the winter? These would definitely make a fun and unique addition to your Christmas cookie exchange! Preheat the oven to 350 degrees F. Spray a 12 x 8″ baking pan with nonstick spray and line with parchment paper. In a large bowl, whisk together the oats, flour, brown sugar, cinnamon, baking soda, and salt. Mix in the butter, cutting it in until all of the crumbs are pea-sized or smaller and can be pat together easily into a crust. Add slightly more than half of the oat mixture to the prepared baking pan and press down evenly to create the bottom layer of the oatmeal bars. Spread the cranberry sauce in a thin layer on top. Sprinkle the remaining oatmeal mixture on top and then sprinkle with about a third of the white chocolate and dark chocolate chips. Bake 25-30 minutes, or until the oatmeal bars are golden brown and cooked through. As the bars cook, prepare the chocolate for drizzling. 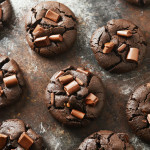 Melt the dark chocolate and white chocolate separately using your preferred method. I personally use the double-broiler method, which entails adding 2 inches of water to a pan and placing a larger, heat-safe metal bowl over the top so that the water does not touch the bowl. Then, the pan is heated over low heat and the dark chocolate chips and about 2 tablespoons of milk or cream are added to the bowl on top. Stirring often, allow the chocolate to melt completely, and then transfer to an icing bottle. Repeat with the white chocolate chips. After the bars have finished baking, remove from the oven and drizzle the dark chocolate over them, and then do the same with the white chocolate. Let the chocolate set and the bars cool completely in the pan. After they come to room temperature, refrigerate for at least 30 minutes. Remove from the pan by pulling up the parchment paper lining, and then cut into bars. Serve immediately or cover and refrigerate/freeze. If freezing, thaw at room temperature before serving. I am loving all these creative thanksgiving leftover recipes I’m seeing everywhere!! 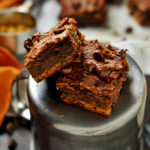 Your bars look so gooey & delicious!! This looks lovely Morgan – I love the sweet but slightly tart cranberry addition – so festive! What a beautiful dish. 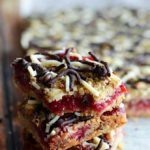 I have a batch of cranberry sauce bars in the oven right now, but yours look so much more decadent and delicious! 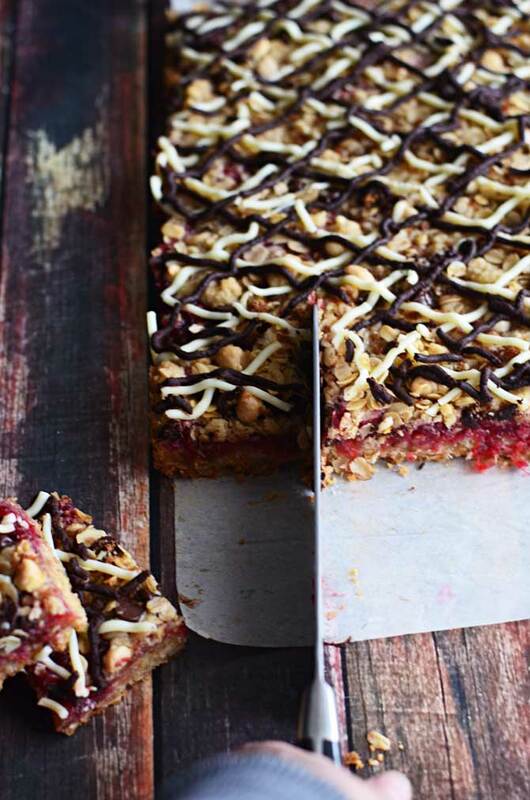 These choc cranberry bars look so incredibly delicious. 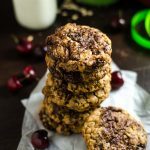 I love making my own snack bars so this recipe is perfect for me! I’ve got a question! I have a mixed bag of apple crumble topping in my freezer, but no one feels like crumble in the middle of February. The mix is 2 and 1/2 cups oats, 2 and 1/2 cups sugar, and 2 cups of flour — basically a sugar-packed version of what you have here! I was wondering if you have any suggestions for how I could adapt this recipe to use the crumble mix (1/2 cup or so more butter? Or perhaps a half cup of mashed banana, if you think that would still work and not make them crumble apart). I think, with all that sugar, they’ll be plenty sweet without a jam filling (no cranberry sauce in February, of course) or chocolate on top, but I was thinking I might top with some unsweetened fruit –very thin apple slices perhaps. Katya, I think that mashed banana would be a delicious addition. I’m thinking you might have to use a bit of egg along with the mashed banana for extra moisture/to hold it all together. Would it be possible for you to do a mini test run first? That way you’d be able to see if you had to adjust before committing your entire bag of apple crumble topping to the recipe. I’m thinking for the full amount, 3 ripe mashed bananas and 2 eggs would be what I would try (and maybe a few tablespoons of butter) but I would definitely try just making a tiny batch first that you can tweak. If you write back here after a test run, I can give you advice as to where to go from there based on your results! Thanks for the tips, Morgan! In the end, I skipped the banana as I didn’t have any ripe ones on hand. I also realized the mix is 2 and 1/2 cups each brown sugar and oats and 3 cups flour (not 2 cups flour), so I upped the eggs to 4 eggs. I also used 1 tsp salt, 1 and 1/2 tsp baking soda, 1 tsp ground cardamom, and I upped the cinnamon to a generous tablespoon. I mixed softened butter with the eggs, then added the dry ingredients slowly so everything would combine. I pressed 3/4 of the dough in the pan and topped it with thinly sliced apple. Then I pressed the remaining dough on top and baking for 28 minutes at 350F. We let them cool for about 20 minutes and enjoyed them as a hearty breakfast. My family all went back for seconds! They were perfect, not too sweet and a lovely texture somewhere between bar and a dense, oat-y muffin. Those look tasty! I’m so glad you were able to make them work with the crumble mix! !